…that writer and humorist Samuel Langhorne Clemens, better known by his pen name Mark Twain, invented more than tall tales and novels. In 1871, Clemens moved his family to Hartford, a city which he loved. The family rented a house in the heart of Nook Farm, a tight-knit community in Hartford’s west end and in 1873 they built a house in the same neighborhood. During his time in Hartford, Twain wrote such classics as Adventures of Huckleberry Finn, The Prince and the Pauper, and A Connecticut Yankee in King Arthur’s Court. It was also at this time that Clemens patented three inventions. One, “Mark Twain’s Elastic Strap,” could be used to tighten men’s trouser waistbands or women’s corsets. Another, “Mark Twain’s Memory-Builder Game,” strengthened players’ wits with historical trivia. His most famous invention, however, and the one that received the most commercial success, was “Mark Twain’s Patent Scrapbook.” This self-pasting scrapbook used a dried adhesive on its pages so that users need only moisten a page in order to attach pictures. 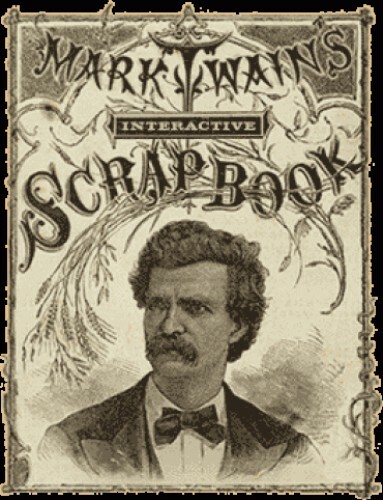 “Mark Twain’s Interactive Scrapbook.” PBS, 2011. Link. Clemens, Samuel L. Patent Number 121,992 - Improvement in Adjustable and Detachable Straps for Garments. US121992 A. Hartford, CT, issued December 19, 1871. Link. Clemens, Samuel L. Patent Number 140,245 - Improvement in Scrap-Books. US140245 A. Hartford, CT, issued June 24, 1873. Link. Clemens, Samuel L. Patent Number 324,535 - Game Apparatus. US324535 A. Hartford, CT, issued August 18, 1885. Link.